In the second part of my article on Prof. Steve Keen and his Dataconsult Breakfast talk in Bangkok in late July, I look at his thoughts on private debt and its effect on economies. 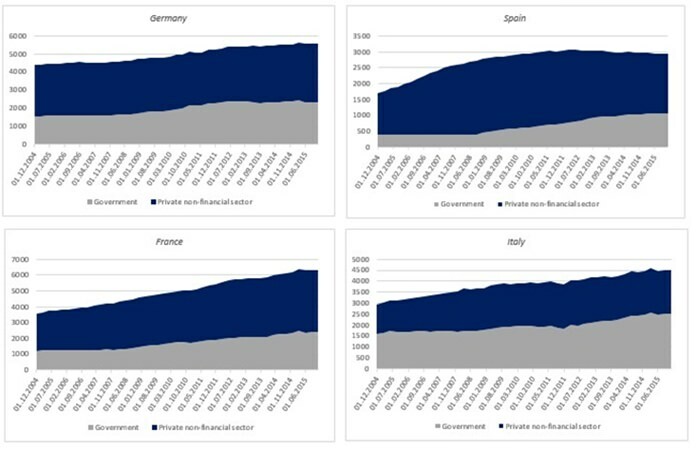 Having established that private debt is actually the real economic disease affecting us, the below chart reveals that it doesn’t take in-depth analysis or a PhD in economics to see that, while Eurozone countries are pushed by the ECB to reduce government debt, the real problem is in fact private debt (see chart 1). Chart 1 – Source: BIS. 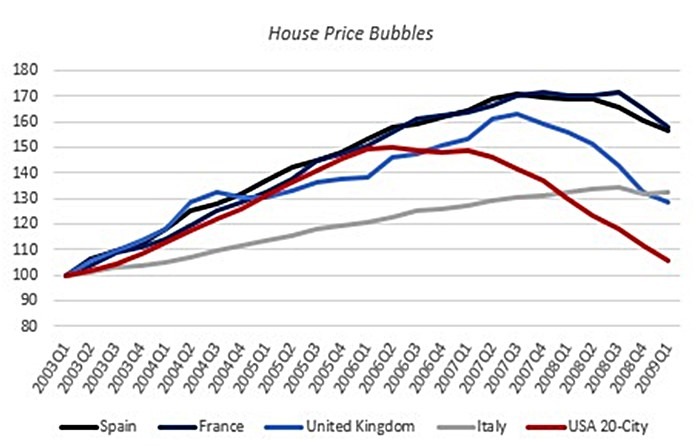 Private debt was the major contributory factor to the GFC1 – in no small way because of bubbles in house prices (see chart 2). 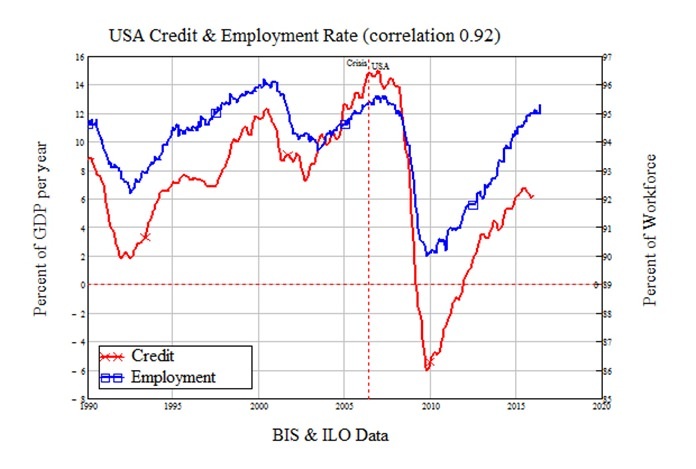 As Prof. Steve Keen points out, when the private debt-to-GDP ratio is high, credit dominates other economic factors: a comparison of US credit and employment highlights this (see chart 3). Chart 2 – Sources: ECB & St Louis Federal Reserve. 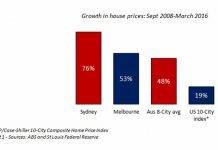 Chart 3 – Source: Prof. Steve Keen. 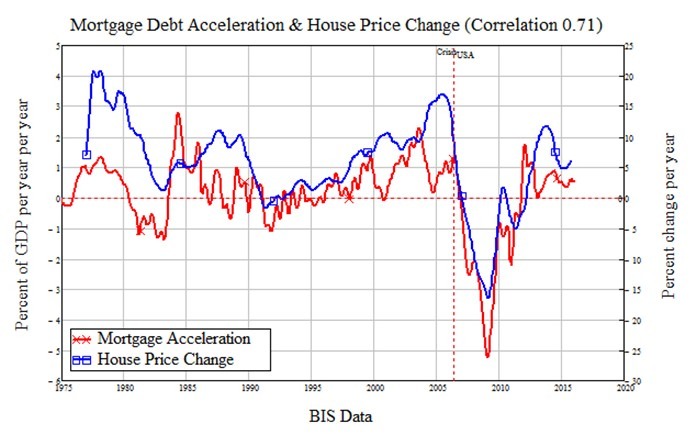 Also, Steve demonstrated in his talk how house price changes are driven by the acceleration in mortgage debt (see chart 4). With this evidence in front of us, it would seem logical that governments and central banks of the most effected economies would do their upmost to reduce the amount of private debt, for example through a modern debt jubilee, as another IDEA Economics colleague, Michael Hudson, has demonstrated.2 This is something which Michael shows has happened regularly in the past.3 The overall effect of a modern jubilee would be to make economic conditions much more favourable for individuals and businesses alike (see graphic). 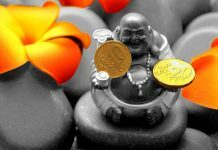 As the BOOM editorial rightly points out, all this stimulus is costing trillions, while – according to povety.com – some 7.6 million people in the world die from hunger every year. 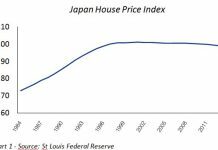 Even if the central banks’ policies weren’t so expensive, they are completely misplaced. The general principle behind them is to kick-start economies by giving businesses and individuals easier access to debt – the very thing that put us in this mess in the first place. Meanwhile, austerity measures aim to reduce government debt; which means fewer public services, less spending on education, health and infrastructure – services which help improve people’s capacity to earn, thus increasing consumption, helping business, bringing more tax income and so on. In fact, if governments actually bring in more money than they spend, it’s bad news for the economy. That’s because to achieve surplus, government taxes on the private sector exceed the subsidies paid to it by the government, so the private sector has to run a deficit with the government. But that means shrinking the private sector – the opposite of governments’ good economic management objective, unless the private sector somehow produces not only enough money to finance the government surplus, but also enough to allow the economy to grow at the same time.5 That’s some ask. 6. Individuals and corporations owning ABSs would have more cash to spend, instead of being reliant on income from ABSs.